Crispy rice salad is what rice tastes like when it's living its best life. This might not be the best way to cook rice, but it’s the best way to eat it. 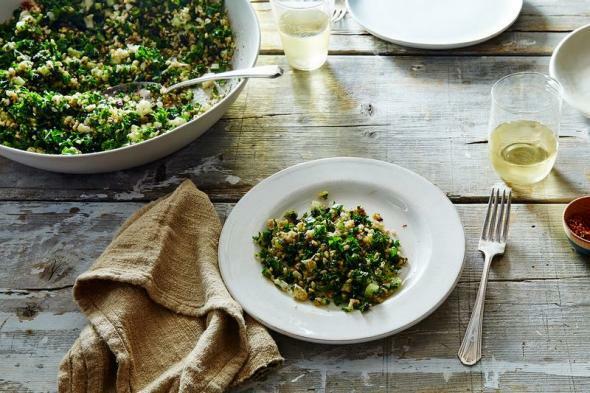 In fact, “I want to eat this every day of my life,” is what my boss, Amanda Hesser, said upon tasting Crispy Brown Rice “Kabbouleh.” Its name was probably irrelevant. What she was responding to was that same crackly rice that cultures across the world hold on high—the well-toasted bottom layer of rice in a good paella, tahdig, or bibimbap. But this holy grail of texture doesn’t have to come only at the end of a perfectly made dish—it can be broken apart and distilled for us to eat whenever we like. In this case, it’s in a souped-up grain salad of sorts. Bon Appetit called it kabbouleh, a portmanteau stemming from tabbouleh made with kale, but it’s really its own creation entirely, straight out of the mind of Jessica Koslow, the founder of Sqirl, which is maybe the most famous breakfast and lunch and toast restaurant (and jam workshop) on Instagram. There, it’s just called crispy rice salad. In a place where toasts are served like bread canoes heavy with hollows of ricotta and Nutella, where jams like June and Rich Lady Peach exist: This is where a tabbouleh-inspired kale salad can contain crispy rice, pickled currants, mint, scallions, cauliflower, cucumber, sumac, and dried chiles. And probably only in L.A. would all of these vegetables be in season at the same time, but the rest of us can dream, and stock up on hothouse cucumbers. 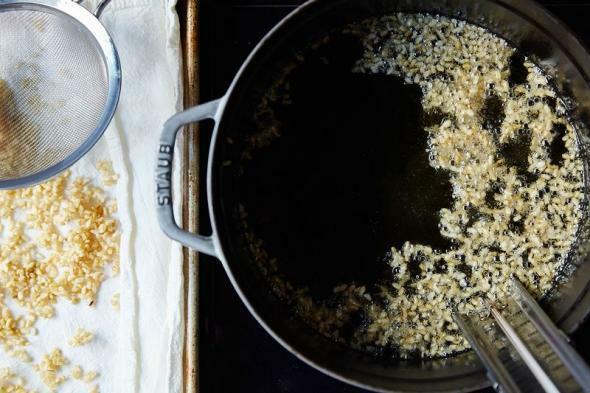 As Bon Appetit put it when they first wrote about this recipe, “Is it crazy to cook rice, dry it out, and then deep-fry it? Maybe a little bit.” My boss and I disagree, and, once you taste it, I bet you will, too. For one thing, cooking a pot of brown rice, leaving it on a cookie sheet overnight to dry, and then quickly frying it in a couple inches of oil isn’t actually hard to do. It’s also a life experience that you won’t get any other way. Not even with Rice Krispies. This is probably a trick you’ll want to bust out at dinner parties where you want to show off and feel joy and rapture with others. But you could also make it just for you, with extra to have on hand—just keep the components separate till eating time so the rice stays crunchy. Every week, Food52’s Creative Director Kristen Miglore is unearthing recipes that are nothing short of genius. Got one for her—from a classic cookbook, an online source, or anywhere, really? Please send it her way (and tell her what’s so smart about it) at kristen@food52.com. 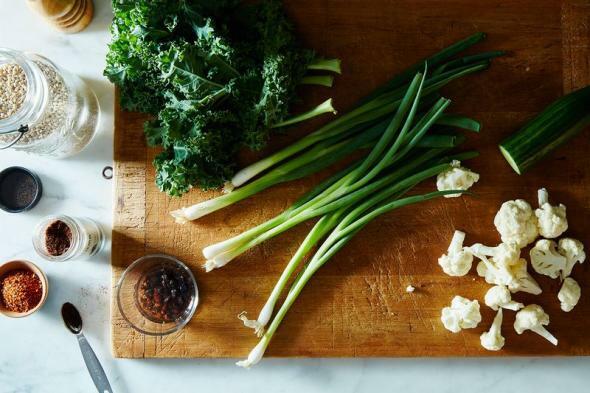 Thank you to Food52 associate editor Ali Slagle for this one!